It's an Ops tradition when new comer arrives, we arrange a lunch to welcome him/her to the family. For a change, we went to K Coffee, a nearby restaurant that serves Cambodian food, instead of Pizza company. 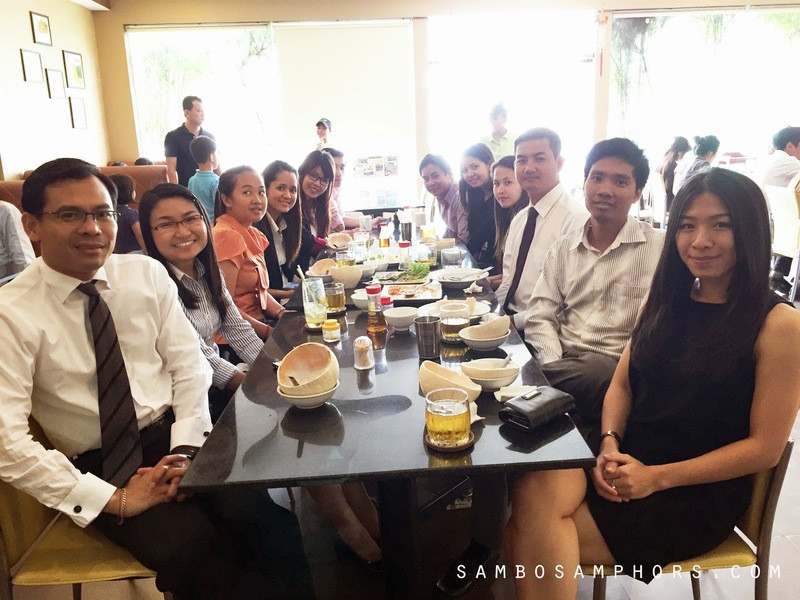 So it's Samorn, Senior IT officer, who's the third siting on the right.